SummitMedia promotes Janelle Moffett from General Sales Manager to Market President of its cluster in Springfield, MO, including KTTS-FM, KSPW-FM (Power 96.5), KRVI-FM (106.7 The River) and KSGF (NewsTalk 104.1 & 1260), effective upon Rex Hansen's retirement. During her 17-year career in Springfield, she has served in a sales leadership role, most recently as General Sales Manager. Moffett stated, "We have great stations and a talented, committed team here. We will make certain we continue to entertain and inform our listeners, deliver results for our clients and serve our wonderful Springfield community. I'm very excited about all the possibilities ahead for us!" 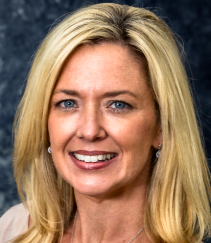 SummitMedia CEO Carl Parmer added, "We are extremely pleased to name Janelle President of our Springfield cluster and are very confident in her ability to inspire success for our team."